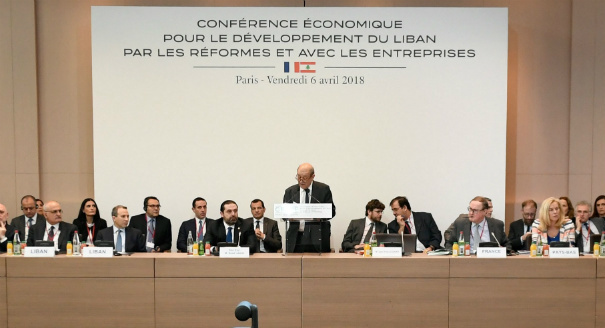 As Lebanon’s debt grows and the traditional pillars of its economy stagnate, a drop in remittances from the Gulf may push the country into bankruptcy. What’s at Stake in Lebanon’s Elections? On May 6, Lebanese voters will elect an incoming parliament for the first time since 2009. How will Lebanon’s changing political and security landscape affect the outcome? Hezbollah’s branding of its Arsal offensive as a victory for all Lebanese further undermines the Lebanese state as a political and security actor. In their emerging entente, Geagea and Aoun may restore their political relevance and catalyze Christian consolidation. A new U.S. law targeting Hezbollah’s finances is creating more uncertainty in Lebanon’s banking sector and could have wider economic consequences. Saudi Arabia’s recent moves against Hezbollah and the Lebanese government could end up weakening its own allies and further destabilizing the Lebanese political arena. Saad Hariri’s attempt to split the March 8 alliance by endorsing Sleiman Frangieh for president has instead divided March 14 and complicated Lebanon’s search for a president. Lebanon’s government is betting that a new waste plan and a national dialogue to elect a president will end ongoing protests by the “You Stink” movement. Free Patriotic Movement protests are just the latest of Michel Aoun’s tactics to secure the presidency and empower his party.